Gregorian chant music is something most people have heard at some point, but it can sometimes be misunderstood, whether that’s from being unaware of its origins, or literally not understanding it — these songs are in Latin, after all. Named after St. Gregory I, Gregorian chant was widely used by the Roman Catholic Church beginning in the late 700s, where it became the basis for most of the liturgy used in church services. Sang entirely in Latin, and without musical accompaniment and rhythm, these chants often referenced the Psalms, while incorporating parts of the New Testament as well. Although used for church services, Gregorian chant actually became a large influence over what would later develop as classical music. You can read more about that here. Many associate Gregorian chants as Christmas music, as it reminds them of attending mass and other church services during the holidays. And while the vast majority of people don’t know Latin, many of the melodies used in advent (Christmas) Gregorian chants are familiar, with many of the songs recounting the story of Christ. There are seemingly infinite Gregorian chant compilations available on the market, but today we’ll be going over two great ones in particular. Chant: Gregorian Christmas Meditation is a relatively new album recorded by Capella Gregoriana. The Philippines-based group came into existence around 2009, comprised of young Catholic students who had taken a keen interest in traditional Latin mass. Their initial name was Sikatuna Cantata, which they later changed in 2012 after Pope Benedict XVI promoted a more liberalized used of traditional mass aspects. The groups new name is intended to honor two main saints of the Catholic choir: Saint Gregory, and Saint Cecilia. This album was released by Cobra Entertainment in 2014, and contains a wide spectrum of chants that range anywhere from under a minute, to over five minutes. While only a few years old, this album sounds as if it was recorded hundreds of years ago — and that’s a good thing. Sonically, the highs and lows are well rounded, clear, and contain the perfect about of echo and reverb that sounds like you’re in an old church sanctuary at a time when these chants were commonplace. The songs are a perfect soundtrack to the Christmas season, and maintain a soothing, reflective tone throughout the entire hour and 13 minutes. You get a few tracks that really dig into the depths of the church’s liturgy, and still get classic and more recognizable songs like Kyrie Eleison, Gloria in Excelsis Deo, Agnus Dei, and the perfect choice to close it all out: Christmas Bells — Magnificat. In total, there are 30 tracks. 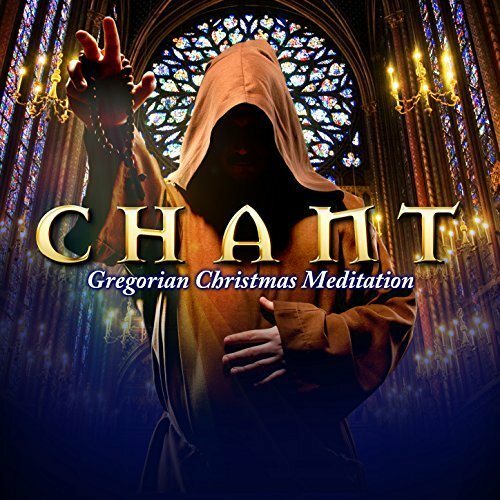 Chant: Gregorian Christmas Meditation is available on Amazon in mp3 format, and you can download the entire album and listen to it on your music player of choice for just $0.99 for the entire album. This is one of the best deals you’ll encounter for an album of this quality. If you have Amazon Unlimited, you can stream the album for free as part of your subscription. In terms of combining lesser-known chants with popular Christmas choices, Chant: Gregorian Christmas Meditation is as good as you’ll find. Capella Gregoriana’s commitment to presenting a classic sound with modern clarity, and devotion to the songs as they were intended is apparent from the opening song. This album certainly offers a meditative sound, and is the perfect background soundtrack to the holidays for anyone looking for a more spiritual sound in between modern Christmas classics, or simply anyone who loves well-executed Gregorian chants. Gregorian Christmas contains a wide range of chants sung by the CantArte Regensburg, at the direction of the late Hubert Velten, who was a cathedral choir and music director in Regensburg, Germany. The album is almost entirely traditional, but does have a few chants that have been rearranged by Velten. The CantArte itself is made up of 14 singers, originally formed in 1991. The group continues to record and tour with a revolving door of members, but carries on the spirit and arrangements of Velten. Like many Gregorian chant compilation albums, Gregorian Christmas was released by Cobra Entertainment, in 2011. Gregorian Christmas is a very long listen, with an astounding 49 tracks, and totaling an hour and 57 minutes in length. The album really digs deep into the Catholic church’s liturgy, with a wide range of songs that span the most popular and familiar, to songs that few have heard more than once. Velten’s work and direction is on full display throughout. Hubert Velten’s work is renown for a reason, and this compilation of CantArte Regensburg captures the essence of his direction and composition perfectly. Its sound is rich, full, and clear, and has the traditional sound one expects from a Gregorian chant Christmas album. For the price, it’s hard to find anything as well-executed and long-running as this. It’s truly an easy purchase decision, even if you already have several other albums. While this album does touch on some lesser-known choices, you still get the main advent songs, including Gloria Im V Ton, Hodie Scietis, O Emmanuel, etc. The album closes with the beautiful Communio: Omnes Qui In Christo And Psalms 29. The production quality is spot-on, with a rich and even sound that effortlessly fills the air as you listen. And at just under two hours, it’s a great album to leave on in the home when tending to Christmas tasks and such. Gregorian Christmas is available on Amazon for $0.99 as an mp3 album, which is a ridiculously low price for two hours of music. If you have an Amazon Unlimited subscription, streaming the album is free with your plan.